The Sarde pattern is inspired by the “Neoclásica” deck etched on copper by José Martínez de Castro and first published as a de luxe edition by Clemente Roxas in Madrid in 1810. 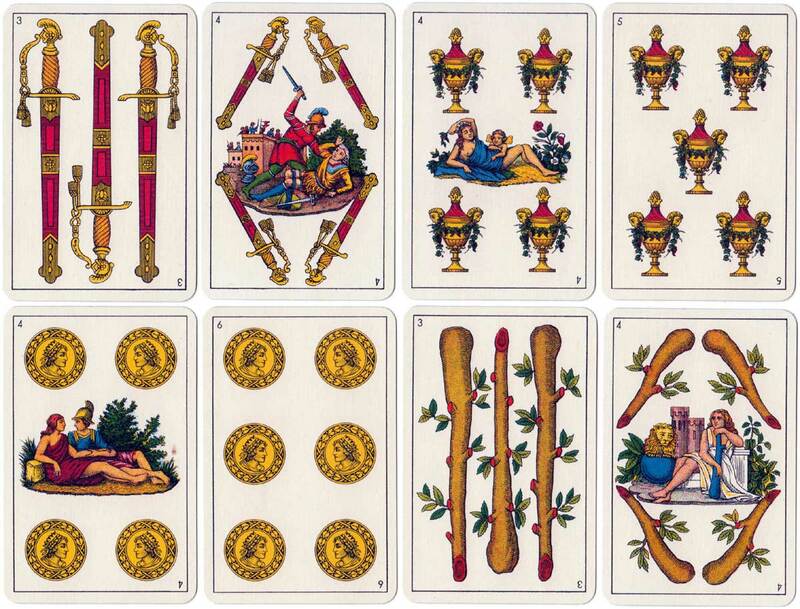 The model was copied in Spain, Italy and France and is still used in Sardinia, where it is regarded as the standard local pattern and manufactured by local firms. 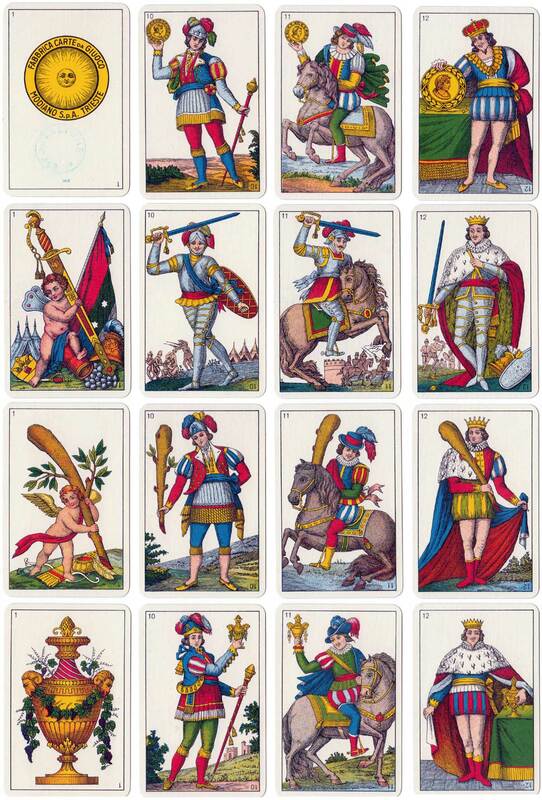 The Sarde version has no ‘pintas’ (breaks in framelines) and the ace of coins has been reduced to a maker’s badge and a space for the tax stamp. Otherwise it follows the Roxas original closely. 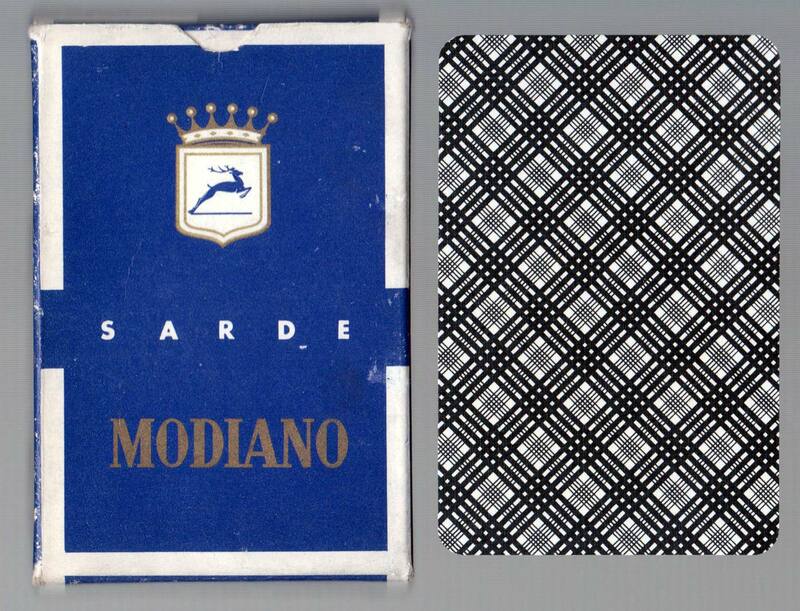 Above: Sarde Pattern published by Modiano, c.1975. The four 4s have skilfully engraved vignettes. See the Box► Images courtesy Rex Pitts.